That’s right, stop trying to forgive yourself. The Bible never mentions anything about forgiving yourself. 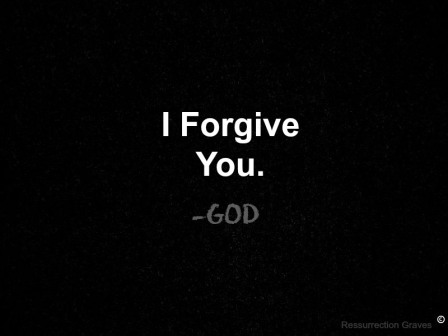 We are told to forgive others so that God will forgive us but never is forgiving yourself directly mentioned. The principle is certainly implied when we’re told to love ourselves; but forgiving yourself was not the theme God chose to emphasize when He mentioned the concept of forgiveness in the Bible. 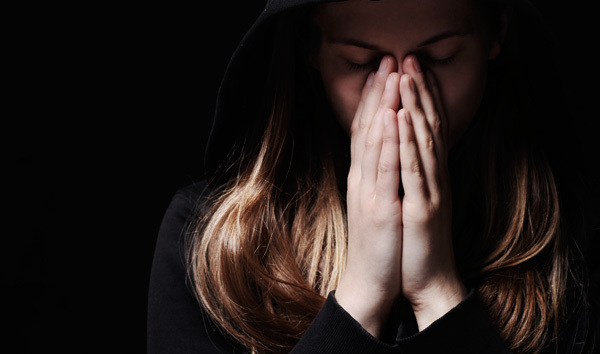 The real issue when trying to forgive our own self is we have a hard time accepting God’s forgiveness when we do wrong, or in some cases, really wrong. Maybe what we really should say is the hardest thing for us to do is accept God’s forgiveness when we do wrong vs. the hardest person to forgive is yourself. Although sin is just sin in God’s eyes, we have developed a rating system for sin. The really bad ones are worth 10 points and the minor sins are worth 1 point. You get the idea. But to God, sin is just sin. So why is accepting God’s forgiveness so hard at times? Doubt. We doubt God’s love. We feel it’s something we have to earn or something we lose if we don’t measure up. It’s called spiritual insecurity. But you can never earn what has been already freely given to you. I don’t care how much you read your Bible or pray, He’s not going to love you any more (or less) than He already does. Please, don’t misunderstand me. Please continue doing those things, but that’s not going to make God love you more. Don’t confuse the connection you feel with God when you do those things vs. His actual love for you. God literally can’t stop loving mankind no matter what man does. In fact, He’s not concerned about your sin since He’s already solved the sin problem 2,000 years ago by the death, burial and resurrection of His Son Jesus. You could fast and pray for 30 days with just water, but He won’t love you any more. Or you could rob a bank and He wouldn’t love you any less. Now, I’m not suggesting you to try anything crazy, you still will pay the consequences of sin. Somehow, we determine the consequences of our sin is a reflection of the absence of God’s love. Friend, God can’t do anything but love you. I feel some of your thoughts. “Why all of the pain and unexplainable things that happen in life then?” I won’t pretend that question can be answered in a simple response, nor am I attempting to do so right now. However, God’s promise is that in spite of what man does, He will fix it. His promise is that He will make all things beautiful in His time. 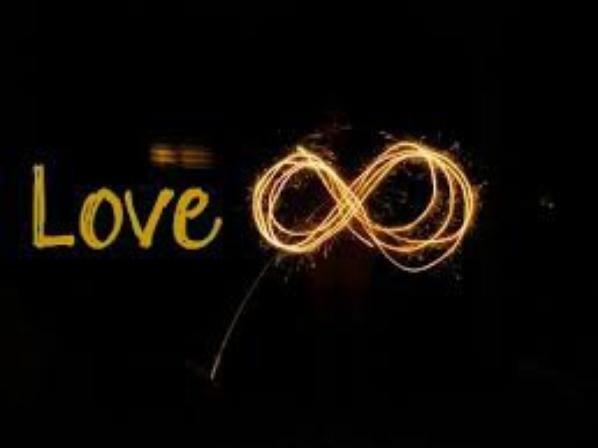 This principle of love is revolutionizing when embraced. God is a LOVING Heavenly Father. Maybe you didn’t have the most patient or loving parent, and that makes it extremely hard for you to understand and comprehend God’s LOVE. While this might be a difficult exercise for you personally, try to think of the most loving, patient parent you know. Does a loving parent just pounce on his child when they do wrong? NO! He or she gives that child second chances and then uses discipline as the last resort. Well, take that loving parent and multiply it times INFINITY and you have GOD! Friend, God loves you! Stop trying to focus on forgiving yourself and work on believing that He’s already forgiven you the moment you recognized your need for forgiveness. Once you truly embrace His forgiveness and unconditional love, you’ll have no problem forgiving yourself. You’re loved and cherished by a Loving Father who had His Son die, just to prove His love to you. When we realize just how much God really loves us, it will change the world through us. You are loved by the God of the universe who knows every mistake you’ve made but who still loves you in spite of it all. Why? Because He can’t stop, He’s just love. Inspired by a random caller on K-LOVE radio. Thank you random caller! Words that will comfort the Soul. This is a great reminder, I need to repent for forgetting how much God loves me.